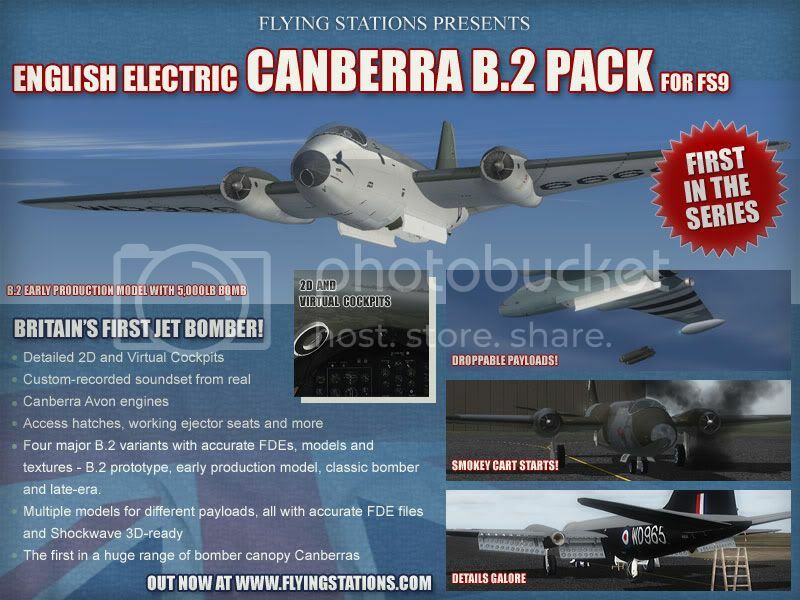 Well, at long last the first of the new Canberra series for FS9 is ready for download. This pack covers four B.2 types, and is offered as a freeware release, sort of a 'taste test' as it were for the later payware packs. The rest of the packs will be released as payware (but will not hurt your budgets!) as a rolling release from this point on. Originally, the release was planned as one big issue, but due to life circumstances, it will now be released as I complete them. Thanks to all for your continued interest and happy flying!